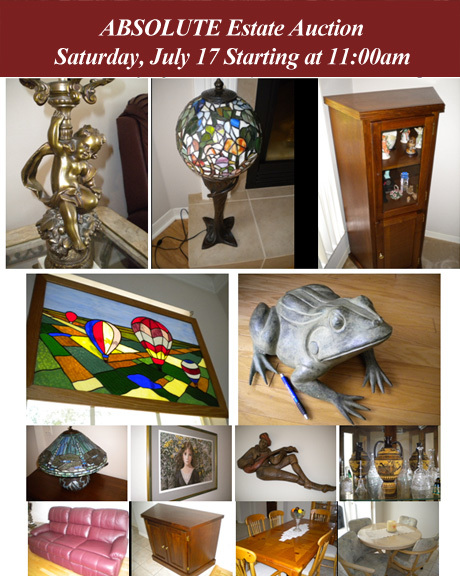 Estate furniture, collectables, art, and antiques! The entire contents of the house---including furniture, collectables, art, and antiques! Of particular interest, a pair of bronze, stained glass Cherub lamps appraised at over $8,000, along with an authentic Favrile Tiffany lamp valued at over $4,000 will be sold absolute!! All must go! !